Unless you&apos;re one of those social opportunists who hangs around waiting on one of your friends to offer you a free grav hit as you participate in the $3.8 billion industry of watching other people (your friends) play video games (I admit it: that&apos;s definitely me), then free weed doesn&apos;t come along very often. Though recreational weed is somehow (?) 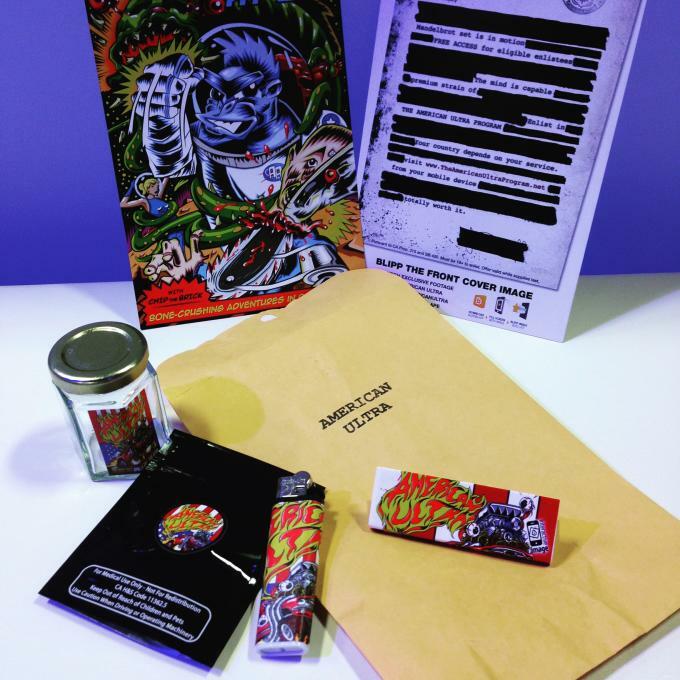 not legal in the currently Comic-Conned city of San Diego, medicinal weed most certainly is — and Lionsgate is putting this legality to brilliant use in promotion of the forthcoming film American Ultra. In partnership with Real Care Inc., the film is providing free samples of "a unique American Ultra strain of medicinal marijuana that was grown by a top San Diego grower exclusively for these purposes, and is available to attendees with a license and legal cannabis card.” According to Collider, SDCC attendees can — as of Friday morning — obtain the free bud and other promo items via bike messenger at any of the 14 pickup locations around San Diego. For those in the area, simply head to this website to figure out how to get minimally faded for the ultra American price of $Free.99. Infographic Shows America's "Weed Belt"